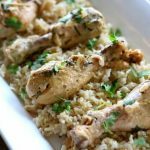 I’m in love with this recipe for spicy coconut chicken drumsticks made in the crockpot! Seriously, we all loved the slight spiciness of the thai chili paste and the creamy sauce made from coconut milk. 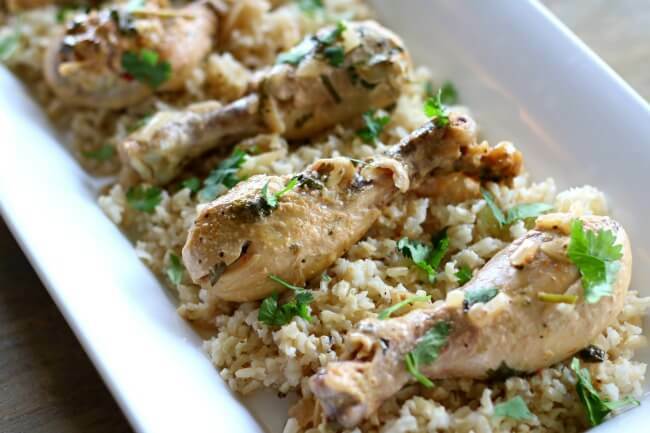 This chicken and sauce goes perfectly with some oven baked brown rice and a salad. Serve it up for dinner this week at your house! And BONUS this recipe can easily be made into a slow cooker freezer meal. Save this recipe for later on Pinterest! I got this recipe idea from my friend, Jen. The past couple of months I’ve been part of a freezer meal group. Each member of the group makes 5 freezer meals (all the same, so like 5 lasagnas). Then we all meet one evening and exchange our freezer meals. You come home with 5 different freezer meals ready to be made any time during the next month. These meals come in handy for those days when you just don’t have the groceries to make dinner or the days when you’re too tired to make dinner or the days when it’s just too busy! In the next few weeks I’ll share some of the recipes that we’ve tried. It’s been fun to try other people’s recipes and dinners that we don’t normally make. Jen made a version of this recipe with chicken breasts and a few other changes from my recipe. 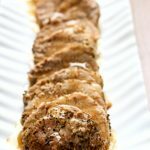 My whole family loved it and I decided to turn it into a slow cooker recipe. If you prefer you can use boneless chicken instead of the chicken legs like I used. Just remember that chicken breasts cook a lot quicker in the slow cooker than chicken on the bone or boneless, skinless chicken thighs. You’ll start the recipe by mixing up a quick sauce with coconut milk and spices and cilantro. Then you’ll pull the skin off the chicken legs. This is really easy with a paper towel. It helps you to grip the skin and get it off in no time. Add those chicken drummies to the sauce in the crockpot and let it braise in there for about 6 to 8 hours and you’re done! Like I said this recipe was perfect with rice because the sauce is so delicious and the rice just soaks it up. And if you really want to be healthy you could serve this slow cooker coconut chicken and the sauce with cauliflower rice. I have yet to try cauliflower rice, but I’m definitely intrigued by the idea. I also think a nice broccoli side dish would go great with this dinner. 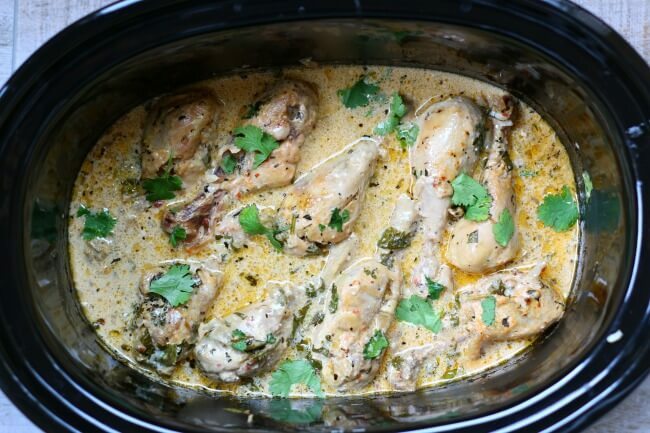 A slightly spicy and creamy coconut chicken and sauce that braises for hours in the slow cooker while you’re getting a million other things done! Combine basil, coconut milk, Sriracha, garlic thai chili paste, soy sauce, onion and cilantro in the slow cooker. Stir. Using a double layer of paper towels pull the skin off of the chicken legs. Add the now skinless chicken legs into the slow cooker. Nestle them into the sauce. 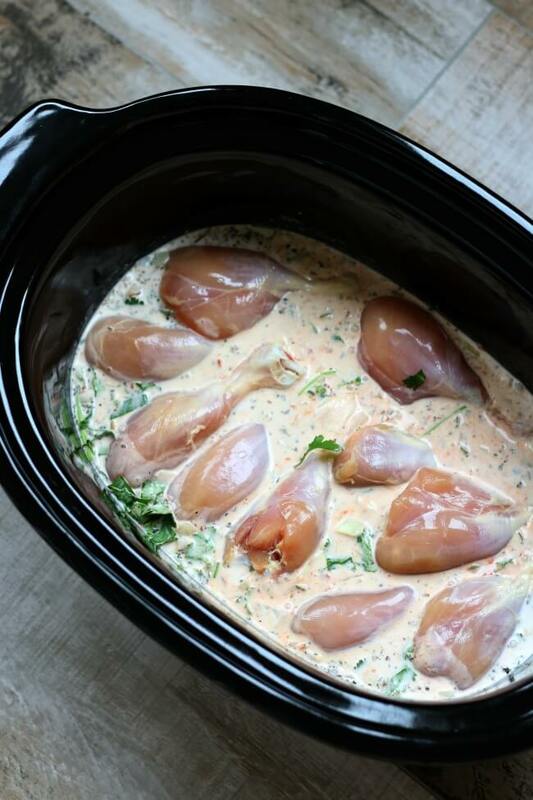 Cover the slow cooker and cook on LOW for 6-8 hours, Chicken will be very tender. Serve the chicken and sauce over rice and top with extra cilantro. 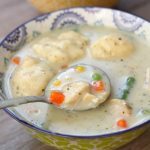 I used my 6 quart slow cooker for this recipe. 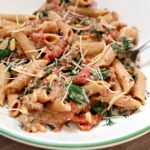 If you want you can make this into a slow cooker freezer meal! Just place all the ingredients into a freezer size gallon zipper bag (I like the Hefty slider bags). Then freeze. When you’re ready to cook drop everything from the bag into the slow cooker and cook on LOW for about 8-10 hours, if still frozen and 6-8 hours if thawed. does anyone know the nutritional values for this meal? I just updated the recipe with the nutritional values. Haha! This is so great!!!! Do you think I could cook this on high for a shorter time ? yes you could. just halve the time. Im making this right now with boneless skinless chicken thighs…do you think 4 hours on low is the right amount of time? yep that will work. you could leave it longer…up to 6 hours. Do you have to take out the chicken skin? You don’t have to. But it will be soggy and not very appetizing. You can put under the broiler to crisp up the skin, if you’d like. I could not find canned coconut milk but have the coconut cream. 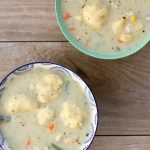 Would the coconut cream work if i mix it with broth? I am not totally sure on that. I haven’t ever used coconut cream myself. I bet it would work though! I followed the recipe but mine came out with a thin red sauce, not creamy white like the picture, I better add greek yogurt or sour cream. It is not very exciting. Could this fit in a 4 qt slow cooker? What type of chili paste did you use and/or recommend with this dish? I used something like this: https://www.boxed.com/product/854/fresh-chili-garlic-sauce-18-oz. Awesome!! Thank you so much, I’m really looking forward to trying this out! 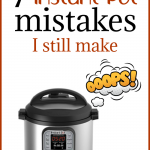 Could I do this easily in an Instant Pot? I’m sure you could. 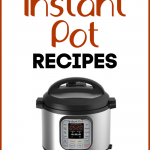 I’ve never used an instant pot but I know a lot of slow cooker recipes make for good instant pot recipes. I made this and although it was delicious, it didn’t come out with creamy consistency I was expecting and what it looks like in your pictures. What kind of coconut milk do you recommend? Like I said, it was still delicious! Thank you!! Maybe try adding the coconut milk at the end? did you use a full fat coconut milk? I cut the ends of the legs off, I think they are then called lovely legs. Mortar and pestle coriander seeds, dry basil, fresh garlic, garlic powder, salt and sugar, vinegar and curry paste and slowly cooked with onion with lid on my stone pot for 2 minutes then added the coconut milk then the chicken legs. Now in the oven on 155 Celsius. Wonderful recipe. I tried and it came out well.. Thanks for sharing. Glad I saw this recipe. Looks absolutely delicious! Thank you for sharing it. I tried this recipe tonight for dinner and really liked it! I omitted the chili paste because I know it’s too hot for my taste. I added a green pepper, fresh garlic and also a bit of chicken broth for good measure. I will definitely make this again! I served it over jasmine rice which I cooked in chicken broth with garlic and cilantro. Yum that sounds fantastic, Amy! yep you could try with chicken breasts. I would only cook for 4 hours on low with chicken breasts! Looks great! I can’t wait to try it.